Ventilation is a primary engineering control available to reduce the concentration of gases, dusts, vapours, smoke, and fumes in the air. These pollutants are drawn into the ventilation system and carried to the collecting device by a pressure gradient created by the fan. The fan must have sufficient power to overcome the resistance to air flow created within the environment. General ventilation systems are used primarily to control temperature and humidity, to remove odours, and sometimes to remove traces of toxic substances and micro organisms emitted from carpeting, panelling, furniture and people. It is not suitable for controlling exposure to toxic substances as it actually spreads the contaminant throughout the workplace before exhausting it. 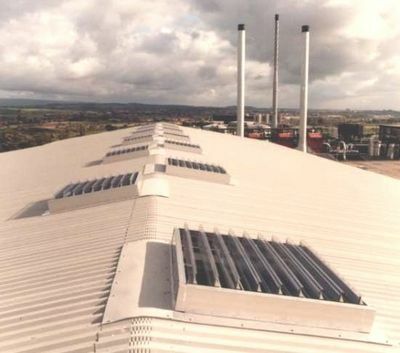 Ventilation is to design a system capable of restricting the high-level temperature rise inside the building to a pre-determined level above the prevailing outside ambient temperature by creating a minimum air change rate per hour. 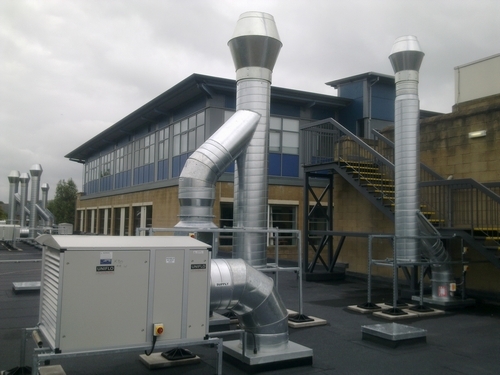 These systems provide positive, fresh air movement to central working areas within the building that in turn provide evaporative cooling for the operatives at their respective workstations. Due to the relatively low capital cost, in relation to the highly desirable conditions achieved, this is the most common approach within industrial buildings today. 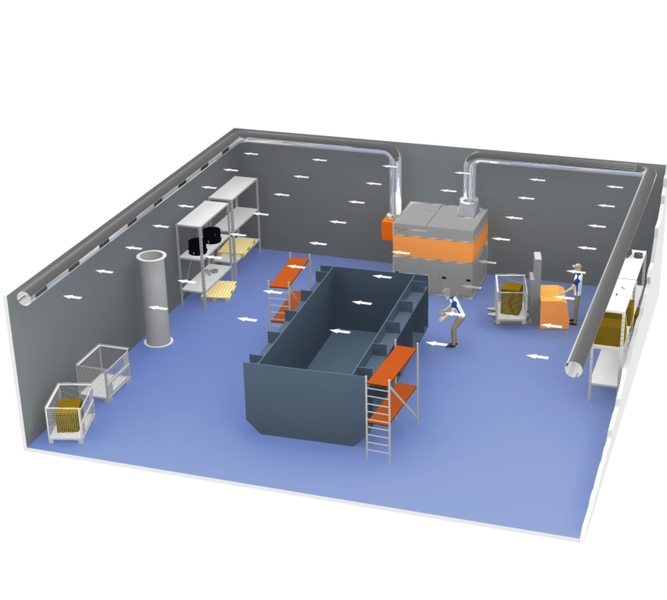 General industrial ventilation systems, clean rooms or process ventilation can be provided by the use of centralised Air Handling Units. This site provides an outline of the products and services we can offer you, however for further information or to arrange a free no obligation site visit click here to contact us via E-Mail or call 01709 555501!